Quite a few people speak English, many fluently. Ironically, the Tartu McDonalds is the one place where cashiers speak the least English. I once tried to order a Big Mac, hold the pickles, with bacon and ketchup, small fries and a large coke, and I got a McChicken, a Sprite and no fries. Stores, restaurants and bars are sometimes hidden, with side or back entrances only. Maybe there are signs that I cannot read. They do not put salt/pepper shakers at every table; there is usually ONE set, by the cashier. In general, food is a lot less salty. McDonald fries without salt are not particularly good. Coats are done up all the way, always, even among teenagers. People stare at me, although not as much as they did in Korea. People still stare at me when I wear a hat, and even when I wear sunglasses! Despite the general lack of UV-protective eye pigments, few people wear sunglasses. It is always sunny in Estonia. February is sunny; early March is rainy, and then it is sunny again. Birthday celebrations at the workplace are surprisingly elaborate and formal, involving line-ups, handshakes and speeches. People smoke a lot, even in restaurants, right in my face, while I am trying to eat my meal. Transportation and food are relatively cheap. Anything not mainstream, the kind of stuff a foreigner would buy, is at least twice as expensive as you would expect. A coke, for example, can be a quarter to a third of the cost of your meal. Coke comes in unsatisfactorily small 250 ml glass bottles and unnecessarily large 500 ml plastic bottles, but not in the unerringly suitable 355 ml cans. A popular beer, “A. le Coq”, sounds similar to "I'd like a coke”, so one must be careful when ordering or be willing to start drinking at noon. They never put ice in your drink. If you ask for ice you get funny looks. When you cannot read, the packaging of canned tuna is surprisingly similar to that of canned cat food. Their cuisine is simple, meat and potatoes, which is great for me. But then they drown the food with creamy sauces, ruining otherwise perfectly good meals. Every word has lat least 3 basic forms, to which they then add at least another 10 post-positions (to, from, at,. in...). Police do not try to be intimidating and actually help. 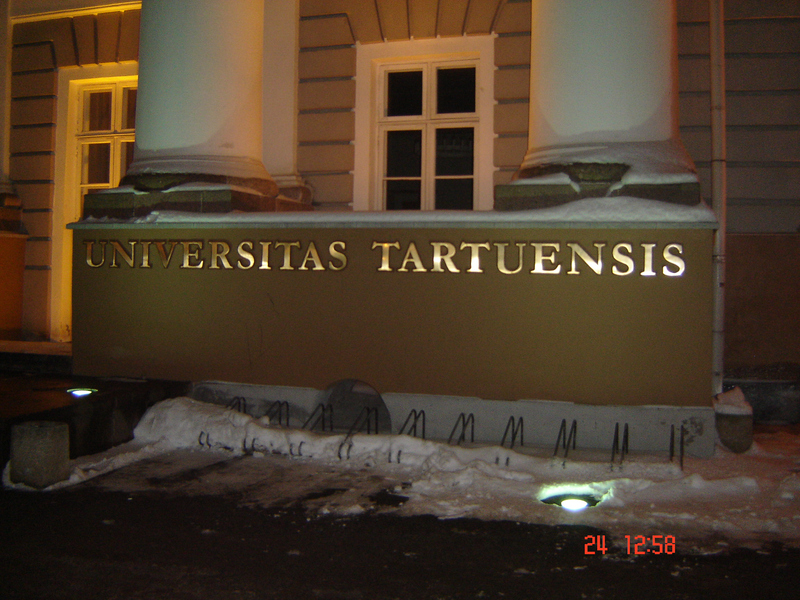 In Tartu, cab drivers do not rob you blind just because you are a foreigner. In Tallinn they do. Street cleaners pass by my street at least every other day. But they put their faith in global warming and do not clear the snow from the streets. Hence the sidewalks are sometimes covered with 5 cm of ice, but that does not deter the elderly or women in high heels. As spring approaches people actively fight winter and break up this layer of ice into smaller chunks so it melts faster. Two weeks after the snow melts the streets are free of winter debris. People walk. They walk fast. Once I was carefully navigating an ice patch when an elderly woman of perhaps 65 passed me as if had been standing still. PETA has yet to exert its influence on women's winter fashions. When paying for something you do not give the money directly to the cashier but rather put it on a little dish; the cashier takes it from the dish and puts your change on the dish, from where you pick it up. If you try to bypass the silly little dish, you get funny looks. You always get a receipt, even for insignificant amounts. Corner and grocery stores have several sections dedicated exclusively to a wide assortment of chocolates. Even at the tourist bureau, where the goal presumably is to make foreigners feel welcome, they do not smile. Good luck trying to get a regular cashier to do so! Doors open the opposite way. I am constantly pushing when I should be pulling and vice-versa. Maybe there are signs that I cannot read. Light switches are generally at waist level. Bathroom light switches are OUTSIDE the bathroom. Line-ups form spontaneously, not straight out or to the right, but always to the left of the counter/cashier. If you unknowingly line up to the right, nobody will tell you; they will just ignore you. People stand very close behind you in line-ups; you can feel their breath on your neck. People also tailgate when walking, sometimes doing so only a step or two behind. Movie pop-corn is as overpriced as in North America. There are all kinds of potato chips: dill, vinegar, ketchup, pizza, cheese, even fromage (yes, it is different! ), but it is very difficult to get just regular plain old potato chips. There are little air vents below window sills, so you do not open your windows to get a little air. People wear cute little reflectors hanging from their coats. No, not just kids, adults too, BY LAW! You can get a lot of leeway by making use of the "stupid foreigner" clause. The women are not only Estonian, they are stunning. 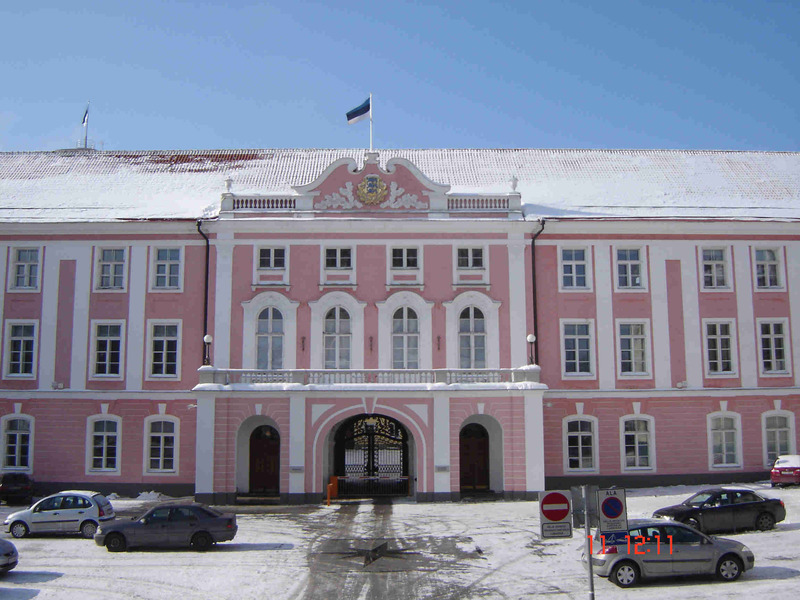 I wrote this the first time I came to Estonia in 2006, for just 3 months. Two years later I returned, and most of these were still true. These peculiarities of Estonian culture take a unique dimension at the workplace.